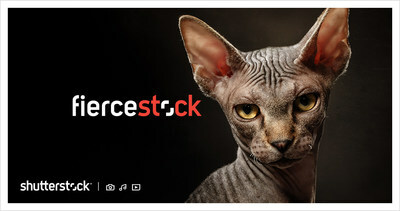 NEW YORK-- Shutterstock, Inc. (NYSE: SSTK), a leading global technology company offering high-quality assets, tools and services through its creative platform, today announced it is launching its first brand marketing campaign in six years. The 'It's not stock, it's Shutterstock™' message is designed to showcase the unparalleled quality and depth of Shutterstock's creative asset repository driven by more than 550,000 contributors from around the globe, as well as highlight the proprietary search and discovery technologies that inspire the creative professionals who use Shutterstock to find the perfect asset every time. The campaign will launch across digital and social channels in January in the US, the UK, Canada and Australia and will expand to countries in Europe, Latin America and Asia shortly thereafter. Over 1.5 million new assets are added every week to the Shutterstock platform, ensuring that Shutterstock customers always have access to the freshest content available anywhere for their marketing and creative needs. "Creativity is now mission-critical for businesses of all sizes," said Lou Weiss, Shutterstock's global Chief Marketing Officer. "Customer expectations are simply too high-- companies with mediocre advertising or visually dull websites are being left behind. Creative professionals are discovering and using our captivating images, stunning video and catchy music tracks every day in thousands of new marketing campaigns globally. Our campaign is a celebration of the amazing artists who contribute these incredible assets to our platform, and highlights the extraordinary value that they bring to creative endeavors every day." Shutterstock's library includes more than 225 million images, over 12 million video clips and tens of thousands of music tracks and has paid out over half a billion dollars to its contributors. The company also offers a proprietary suite of search, workflow, editing tools, and other innovative products for which the company has been awarded 25 patents. Available in 21 languages in over 150 countries, Shutterstock is used by advertising and marketing agencies, film and TV production companies, media organizations and corporations as the basis for creating compelling marketing, broadcast and editorial content for their audiences. The new campaign was developed with the help of DiMassimo Goldstein in New York City.